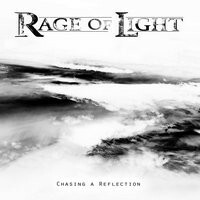 No stranger to these pages at DR, Rage of Light have been harnessing the power of melodic death metal and trance over the course of several singles and 2016’s Chasing a Reflection. 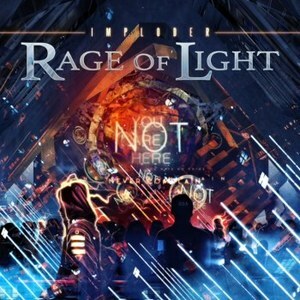 While other acts have certainly employed more electronic aspects to their music, Rage of Light are just as immersed in the electronic/trance sounds as they are in the metallic ones, which makes for an interesting take. Imploder simply provides proof positive that the band is truly onto something big. If there is one track that seems to perfectly encapsulate what Rage of Light is all about, it’s “Away with You.” The track opens with pulsating EBM sounds and gradually begins to incorporate more metallic components and a darker atmosphere, complete with growled vocals from both Melissa Bonny and Jonathan Pellet and a wicked breakdown that incorporates both danceable rhythms and downtuned riffs. Galloping riffs, throttling beats – Rage of Light (as the name suggests) thrives off of contrasts, and the way that they toy with the listener utilizes this to the maximum extent. Bangers like “I Can, I Will,” “Battlefront,” and “Enraged” are guaranteed to get your blood pumping with raucous energy as the synths and guitars work together to provide constant ear-candy and startling brutality. Some tracks provide a more epic approach, with “In the Shadow” and “Mechanicals” using more atmosphere in their longer run times to contrast blast-friendly segments with melodic ones, all while wanting you to raise your fist in the air (particularly the latter track). Some delightful surprises await in the album’s second half, with the instrumental title track delivering a whopper of an experience in its fusion of metal and trance and cinematic scope. It feels like it could be the backdrop of a movie’s culminating action sequence. “Nothingness” uses some strings alongside the band, and gives it some additional gravitas and atmosphere. With all of this unique blending occurring between metallic instruments and electronic components, the vocal approach of Pellet’s growls accompanying Bonny’s own growls and sung vocals also keep the listener hooked, providing both an elegance and ferocity when required. While some may hesitate to give the band a chance due to the heavy electronics use, Rage of Light do it right on Imploder. Their heavy metal spirit reigns supreme through the bouncing and upbeat electronics in a way that never feels hokey or tacked on. An elaborate fusion that takes the best of both worlds, Imploder sets the stage for Rage of Light to provide an outlet that’s both new and exciting. One that can bring heavy metal into an entirely different direction in the future.